This entry is part 1 of 7 in the series Cycling in Belgium. Adrian takes us on a cycle trip around Brussels’ Green Belt to discover the province of Flemish Brabant, in Flanders, Belgium. Have you ever wondered about the area surrounding Brussels, Belgium? Do you want to explore beautiful places without taking a long trip to another city? Follow me on a green journey to Flemish Brabant just outside of Brussels, Belgium. The trip is so long it will take you back in time. But so short, you will need only your bicycle. 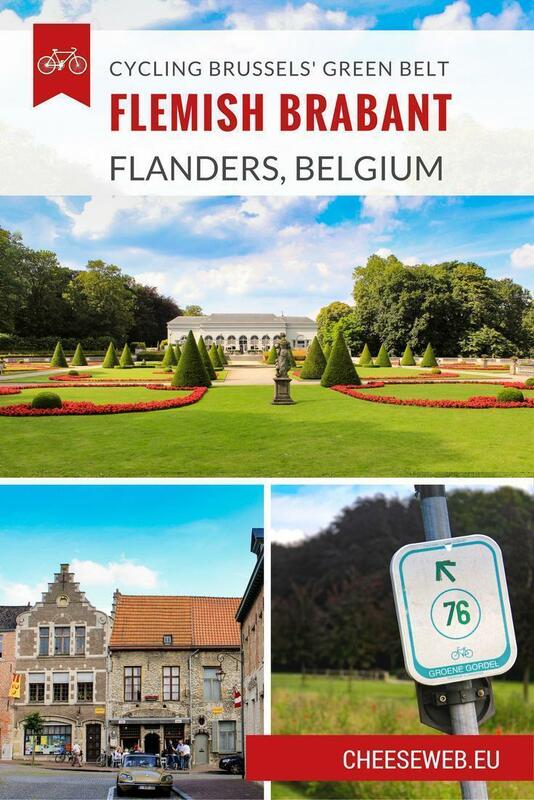 Let’s explore the Green Belt of Brussels. 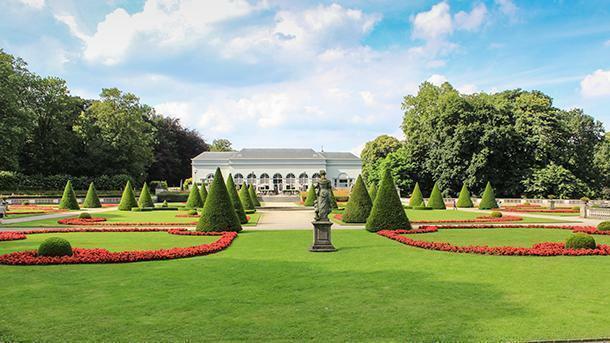 Our first stop is the impressive Botanic Garden in Meise, just four kilometres north of the Atomium. This 92-hectare garden is located on the Bouchout Domain, around a castle from the 19th century. It is the perfect place for a recreational walk, but it is much more than a park. 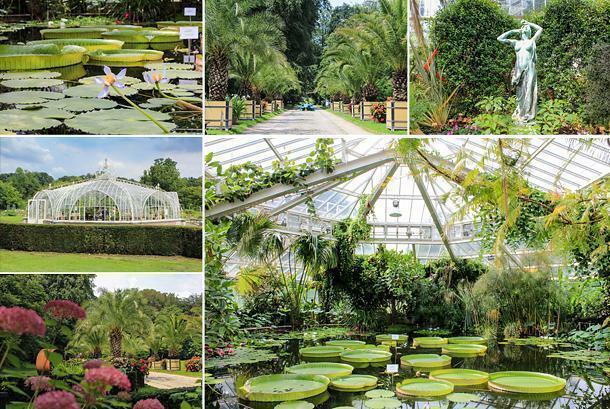 The Botanic Garden Meise contains more than 18.000 species of plants from around the world, in its beautifully designed greenhouses and outdoor gardens. Want to know what you drink every morning? Take a look at the coffee trees in the greenhouse. For a sensorial trip to California or South Arica be seduced by the Mediterranean section of the Plant Palace. Take a walk in the medicinal plant garden to learn about plants that can cure diseases. We use plants every day for so many purposes. 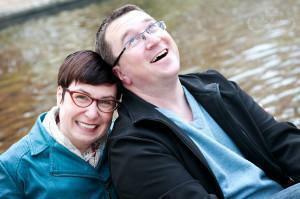 A visit to the Botanic Garden shows you what they look like and teaches you more about them. Bouchout Castle hosts exhibitions created by artists inspired by plants, while the 1854 Balat glasshouse, used in the garden’s logo, boasts an architectural style that led the way to Art Nouveau. However, the Botanic Garden Meise is, above all, a science institute and research centre that has been working with plants for more than two centuries. Studying, protecting plants, raising awareness, and education are all missions carried out by the institution. The impressive botanical library is also open to the public two days every week. You can take advantage of various events in the gardens, book a guided tour, or simply have a drink in the classy orangery – be sure to order a Meiske, their house beer, presented in a unique way. The Botanic Garden Meise is open year round, with something new to see every season. In Stroombeek-Bever, you’ll find In de Patattezak, a bistro serving excellent pasta; the best in Belgium, if you believe the customer reviews. I paid them a visit and had a tasty lunch. I ordered the Spaghetti Bolognese, as advised, but you can choose from a variety of pasta. The accompanying cappuccino was also delicious, and the service was friendly and welcoming. In de Patattezak is also known locally as Bij Pee Klak. Being almost hidden in the Oude Mechelsestraat, it is not crowded with tourists, so you are likely to enjoy a typical Belgian atmosphere. 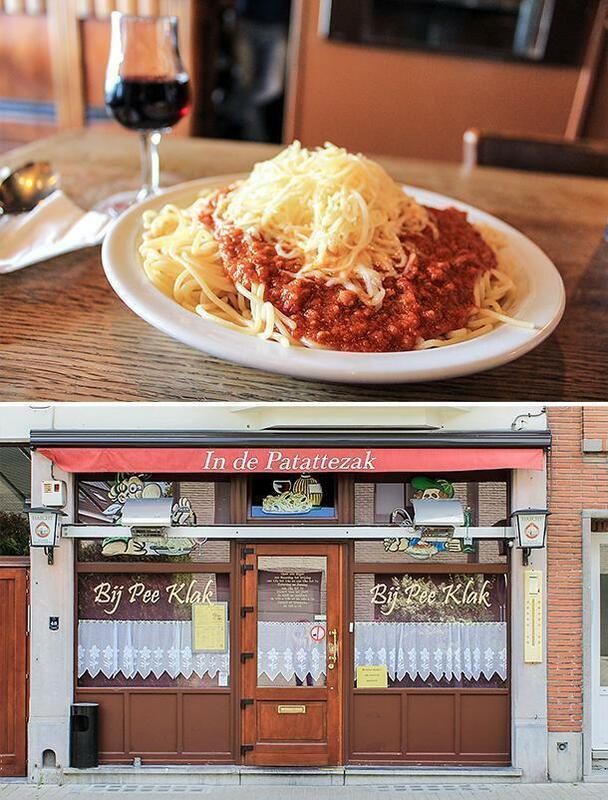 Give it a try and decide for yourself if their spaghetti is the best in Belgium. 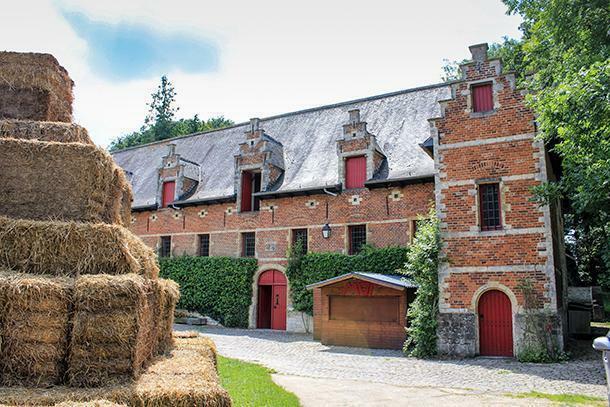 Few people know it, but just a dozen kilometres north of Brussels is a little town with many things to offer. It’s called Grimbergen, and if it hadn’t been for the beer that bears its name, I might never have known it exists. However, this little town has much more than just good beer. 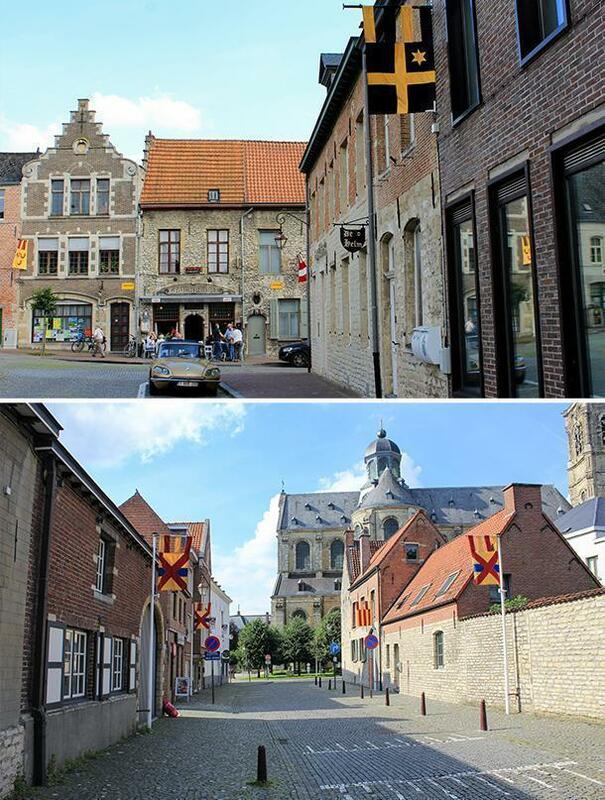 In Grimbergen’s calm central square, you can find charming Flemish architecture. 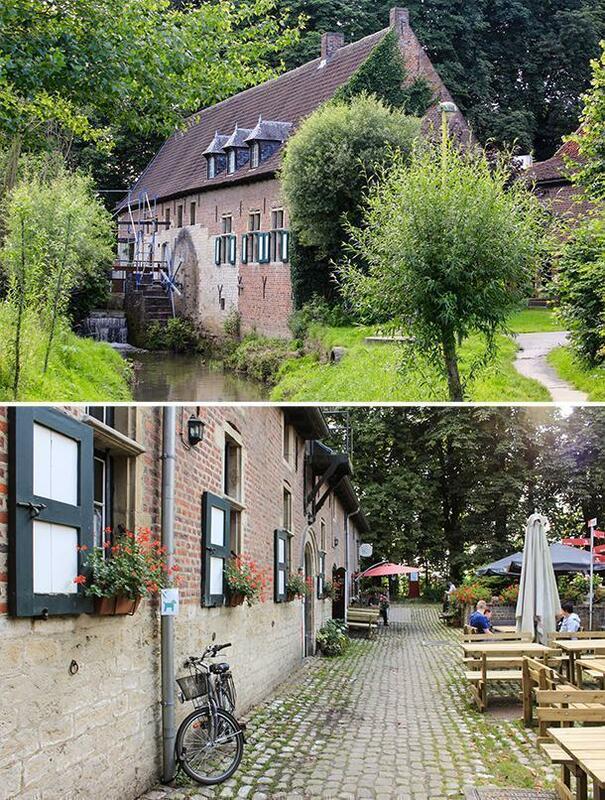 The pretty, 18th-century houses make Grimbergen resemble a mini-Bruges near Brussels. The square is dominated by the Basilica of Saint Servatius, built from 1660. 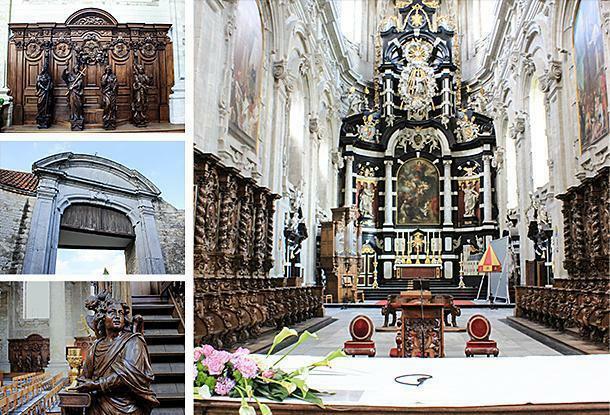 Though many parts of the basilica remained unfinished due to lack of funds, the inside is impressive and adorned with beautiful sculptures made by famous Flemish artists. Next to the church sits the Norbertine Abbey. Most of it was rebuilt in the 19th and 20th century. Only the classicist rectory dates back as early as 1768. 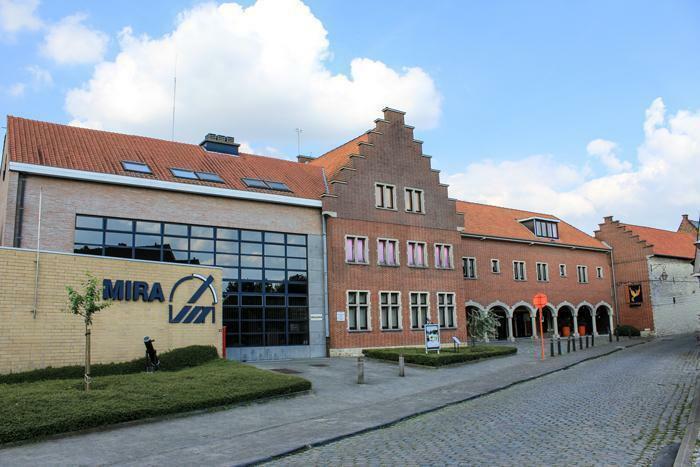 In the former abbey farm, you can now find MIRA, the oldest astronomical observatory in Belgium, opened in 1967. A few steps to the south, is Prinsenbos, a small forest in the middle of town, with calm walkways, a lake, and the ruins of a 17th-century water-castle. Next to the castle, in perfect condition, is the picturesque coach house from the same century. Inside you’ll find the captivating Museum of Older Techniques (MOT), where you can discover ancient tools, as well as pictures and stories about three main subjects – laundry, blacksmithing, and woodworking. I was particularly impressed by the laundry area, where ancient washing techniques are explained, while old washing machines are on display. You can even check out detergent ads from old newspapers and magazines – possibly some of the most annoying ads ever printed. I found this museum very educational. Kids are more than welcome, and various activities are organised specifically for them. 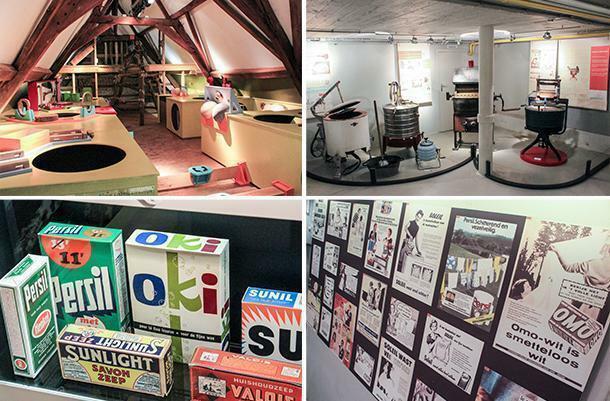 On the top floor of the museum, there’s even a play attic, where children can try fun woodworking activities. The museum also owns two former water-powered grain mills on the Maalbeek River – Liermolen and Tommenmolen. They are found just outside the town centre, to the north. 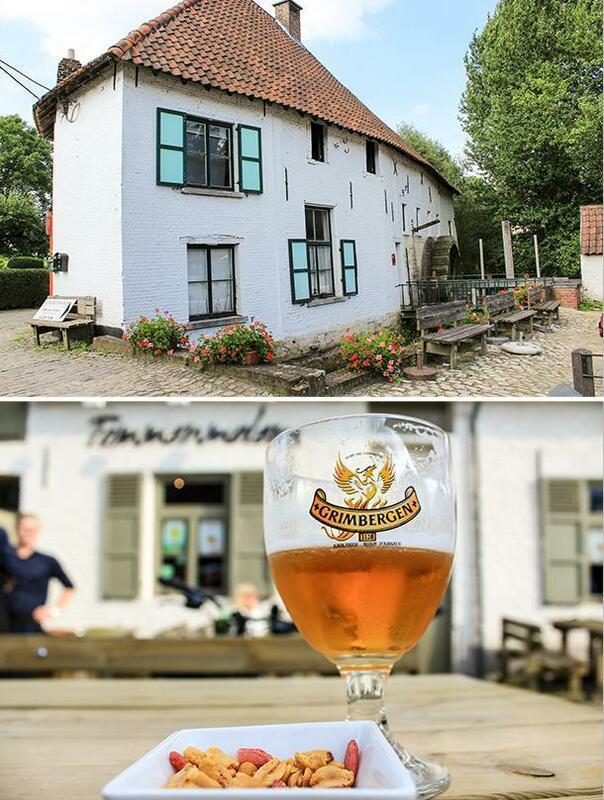 I paid a short visit to Tommenmolen, the oldest of the two, built in the 16th century, open only on weekends. Its charming café and rustic terrace are accessible every day. I enjoyed a fresh blonde Grimbergen, in honour of the town I was just visiting. 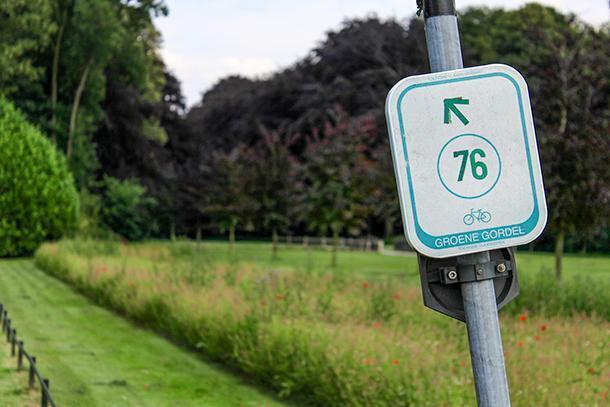 One interesting method to navigate along the Green Belt around Brussels is to use the node system created specifically for cyclists and hikers. The principle is simple: numbered nodes are set in strategic places. You pick up your desired nodes from a map (available from the tourist office), and you link them to create your sightseeing route. Road signs for cyclists are placed at every turn, so all you have to do is follow the direction to your next node. This will allow you to cycle off the beaten path away from heavy car traffic. For instance, my route linked nodes 41, 73, 76, 43, 38, 39, 40 and then back to 41. The Botanic Garden is close to node 41, most of the attractions in Grimbergen are around 38, while Tommenmolen is a few steps away from 43. 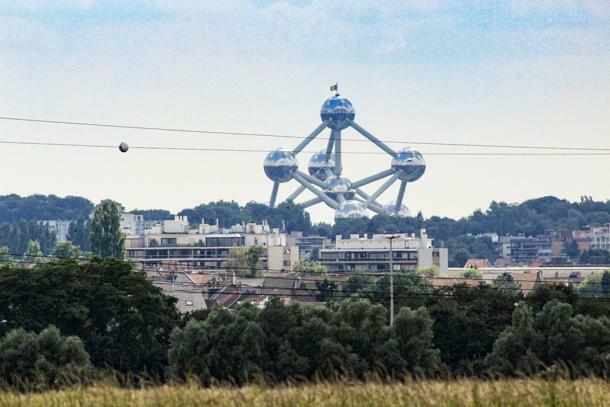 As a bonus, between Grimbergen and node 73, the Brussels skyline opens up for your viewing pleasure. The panorama is visible from Sparrenlaan, on your right-hand side, as you head south. Besides the dominating Atomium, I could also spot the Japanese Tower, as well as famous skyscrapers from downtown, like the Finance Tower, The Hotel, and Rogier Tower. Of course, not everything is close to a green node, so a little sense of orientation is still necessary. The biggest downside is once you miss a turn, you might be off your path and, when you realise it, you must find alternative solutions to get back on track. One possible solution is to create a GPX track for your trail in advance and load it onto your smartphone or GPS device. Then you can easily find your way back when you ‘derail.’ Fietsnet.be is a good resource. Or, if you’re feeling adventurous, you can let yourself go and explore more beautiful places. By missing a turn, I discovered the Drie Fonteinen Domain, with its brasserie set in a former orangery, and its beautiful jardin à la française. 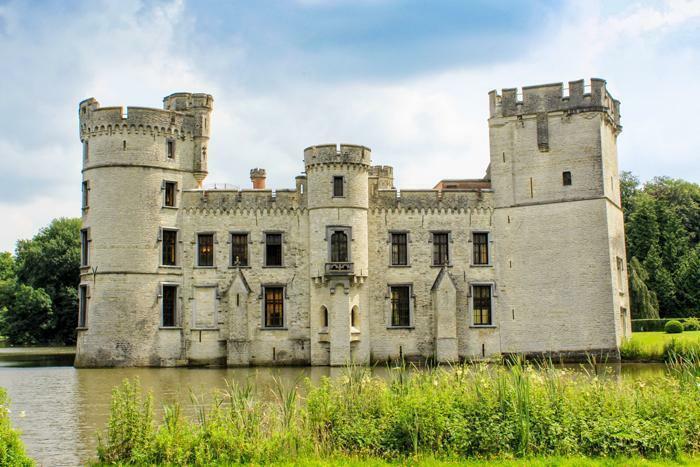 If you’re ready to discover the hidden gems that await, just a stone’s throw from Brussels, take your bike and start riding along the Green Belt in Flemish Brabant. A shortened version of Adrian’s article first appeared in the 85 page Discover Flemish Brabant brochure available for download and in print at the Flemish Brabant Tourist office. 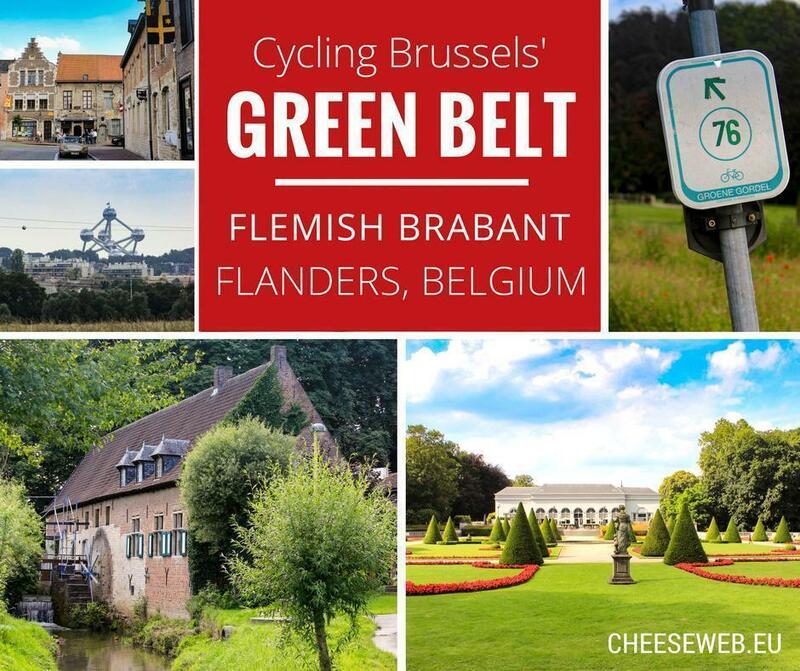 We’d like to thank Flemish Brabant Tourism for inviting Adrian to discover the Green Belt. All opinions remain those of our contributors.